Build and characterize a tape-following system based on PID control. Learn to tune PID parameters to obtain optimum vehicle performance for both speed and precision. Write and submit a Set of Instructions describing how to tune your system. This is to be submitted as part of your APSC 203 mark. You will need 1 complete working chassis for every 2 people. Attempt to write software to implement the PID control loop as described in the lab below. The gain variable T allows you to slow the rate at which the integral accumulates should it be desirable to do so (this is usually the case if your algorithm executes much faster than the rate at which you can perform the control). this prevents error_sum from reaching absurdly high or low values which the P gain will not be able to overcome should the error suddenly decrease. Tuning P, I, and D gain variables is often done by trial and error. Some more precise tuning methods are shown in the primer. The goal is to control your tape follower from the hand tool exercise with a PID algorithm you write. Above: temporary head-to-head track for Lab 5 on the playing surface. Write your PID software. Write a control algorithm. For easy tuning during testing you may choose to use the TINAH Board’s knobs to adjust the main parameters in your code. 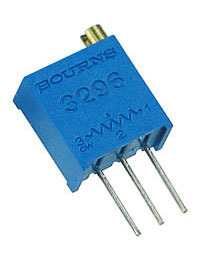 If that is not sufficient, you may also want to use additional trimpots soldered to short leads and connected to other analog inputs to help tune your values. Maximum values of +/- 700 to the motors. Note that the RF500TB motors used for the tape-following vehicle are rated for 6V maximum, but the TINAH board motor outputs have a maximum effective value of 9V (outputs are regulated to 9V through the two 7809 regulators with the heat sinks next to the on-board H-bridge chips). Using motor values greater than +/- 700 to the motors puts the motor windings at risk and may burn out the coils inside the small DC motors. Sunlight affects QRD1114 Sensors Be careful if you are running your system in the hallway or near windows, as the infrared background from the sun tends to swamp the IR phototransistors on the QRD1114. Use some kind of physical shilelding, or (even better) stay away from the sun! Tune your PID control. As described in the lecture and in the pre-lab readings, tune your PID loop to provide zero steady state error, and optimum response time with minimum overshoot when following the tape. Initially you will want to set I=D=0 and use only proportional gain for tuning the system. Qualitatively explore the response time and steady state error of your servo system, then increase gain, and add I,D gain to see what happens. placing the sensor holder closer/further away from the centre of rotation. altering the weight distribution of the tape follower system. Demonstrate your tuned tape follower to your TA. Race other robots on the competition surface!